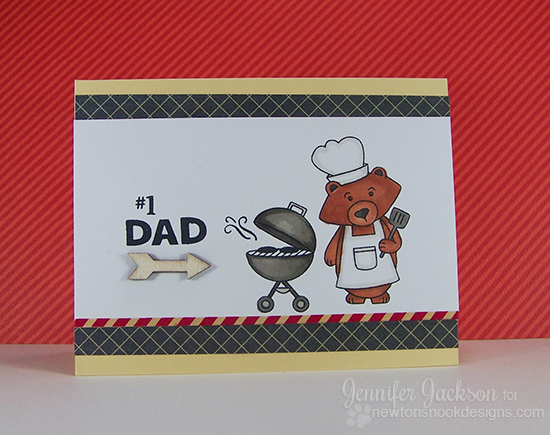 Newton's Nook Designs: Happy Father's Day with Winston! I realized I haven't share these two Father's Day cards yet so I'm popping in quick to share them today! 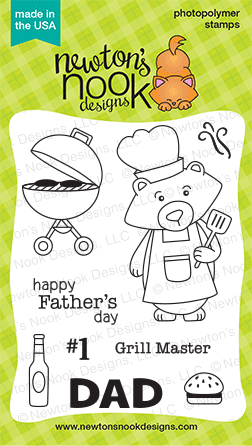 I hope that everyone is having a great Father's Day today and maybe enjoying a nice cook-out like Winston! 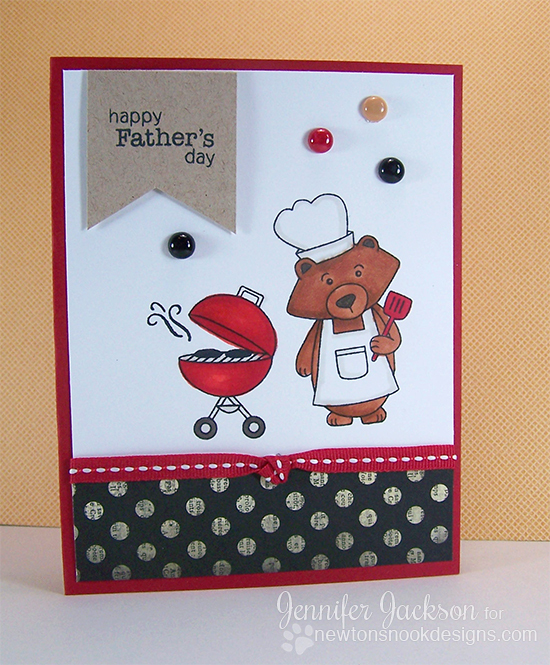 Both cards were created with the Winston's BBQ stamp set and feature Winston Grilling out some Father's day Burgers! First I colored him with Copics and then added on added some fun homemade enamel dots and polka dot paper! I liked adding the sentiment in a little "flag". For the second card I added on the #1 DAD sentiment and a fun wooden arrow and some gray patterned paper and thin red and tan washi tape. I used Copics to color the image. Both cards are pretty simple and so easy to make once you finish the coloring. Here's the whole set- you can purchase it in the Newton's Nook Designs online shop. Cute, cute, cute! These will make any dad smile!!! !